The enlarged US basing arrangements will include at least four new large-scale bases or “hubs,” including new facilities in East Africa and West Africa and Afghanistan, along with a greater number of smaller camps or “spokes,” sources told the Times . 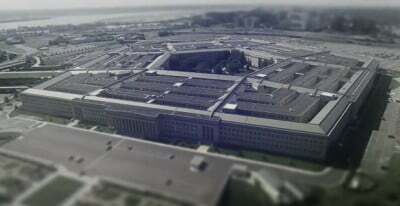 The new bases, which the Pentagon describes as “enduring” bases, will host forces ranging from dozens of commandos up to 5,000 soldiers at the largest hubs, the unnamed military officials said. West Africa is a main focus of the expanded basing plans, and will host one of the larger hubs. The West African countries of Niger and Cameroon are the only countries set to host smaller “spoke” bases listed by the Times report. The Pentagon plans to build a large “hub” near Erbil in northern Iraq, where US special forces have already been conducting combat operations for months. US Special Forces commandos affiliated with the “expeditionary targeting force” announced last week by US Defense Secretary Ashton Carter are already setting up operations in the same area, according to reports. The new bases are only the latest development in the metastatic growth of Washington’s global military apparatus. According to the official list of US overseas bases, US forces are stationed in Afghanistan, Australia, Bahrain, Belgium, Brazil, British Indian Ocean Territory, Bulgaria, Cuba, Djibouti, Germany, Greece, Greenland, Honduras, Israel, Italy, Japan, Kosovo, Kuwait, Netherlands, Norway, Oman, Romania, Portugal, Qatar, Saudi Arabia, Singapore, South Korea, Spain, Turkey, United Arab Emirates, and United Kingdom. Taking into account non-officially acknowledged bases, “forward operating posts,” and other long-term deployments, the list of US bases expands to include the majority of the countries in the world. Recent weeks have made clear that the US is launching yet another expansion of its wars in the Middle East. Wednesday announcement, transmitted by the Pentagon through the semi-official mouthpiece of the Times, demonstrates that the escalation of the US-led imperialist wars in Iraq and Syria will be accompanied by a generalized military build-up encompassing far wider areas of the globe. Working from the new “hubs,” Special Force troops and intelligence operatives will orchestrate supposed “counterterrorism” missions, according to the description offered by the Times. Operations launched from the new bases will enable close collaborations between “regional American commanders, diplomats and spies,” US officials said. In other words, the bases will provide launching pads for a further expansion of US military and intelligence activities in Eastern Europe, Central Asia, along the entire Indo-Pacific rim, and in every significant corner of Africa. In statements defending the basing expansion, Defense Secretary Ashton Carter claimed that the all-pervasive nature of the ISIS threat requires permanent global presence that reaches easily into every corner of the world. “Because we cannot predict the future, these regional nodes—from Morón, Spain, to Jalalabad, Afghanistan—will provide forward presence to respond to a range of crises, terrorist and other kinds,” US Defense Secretary Carter said in reference to the basing expansion. “The new bases will enable unilateral crisis response, counter-terror operations, or strikes on high-value targets,” he added. US chairman of the Joint Chiefs of Staff General Joseph Dunford similarly claimed earlier this month that ISIS is based on a “global dynamic” that makes it impossible to combat the group within any limited list of countries. In reality, rather than “fighting terrorism,” the real purpose of the bases is to shape the world political order in accordance with needs of US imperialism, subjecting ever wider areas of the globe to military violence and repression by US forces. Recent operations in Eastern Europe have given a taste of what is planned for the new US military “hubs” and “spokes.” Some 400 US troops have been deployed to forward operating bases in western Ukraine, where they are reportedly gathering information about Russian forces stationed near the eastern border with Russia, Military Times reported Thursday. Intelligence gathered from the military spying is already being used to develop new training programs for the main US Army infantry school on the European continent, located in Germany.